Super Bowl is Biggest Human Trafficking Event in the US - Report it! 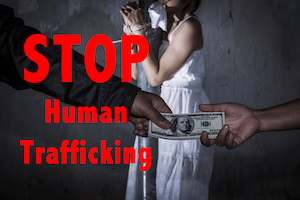 Home > News > Super Bowl is Biggest Human Trafficking Event in the US - Report it! As we have previously highlighted, Super Bowl is dubbed the biggest human trafficking event in the United States as millions of party going football fans will undoubtedly flock to the upcoming event this weekend, February 3, 2019 in Atlanta, Georgia. During the days leading up to and surrounding the Super Bowl we ask every Flight Attendant to be vigilant of the situations around you. Review the indicators of human trafficking. If you suspect a case of human trafficking, follow United’s reporting policy and procedure as outlined in your Link, including using cockpit communications or other methods as part of the Blue Lightning Initiative. Ensure the term “suspected human trafficking is used when reporting to captain.